Why hassle with disassembling your PC and lugging it into a repair shop every time it has a problem? When a virus strikes or other computer headaches arise you can count on our certified computer experts deliver prompt and personal care. 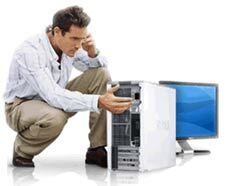 Whether you want to improve your computer’s performance with an upgrade, install a wireless network, get rid of those pesky pop-ups, or recieve some one-on-one tutoring – our trusted technicians are ready to come to your home and solve your computer troubles right on the spot. We can fix most issues in under two hours. Leave your computer headaches to us. We are here to help, 914-562-1800.